Missed the LIVE telecast of Legend of the Blue Sea so i think i have to wake up early to watch the uploaded version at 6am ! 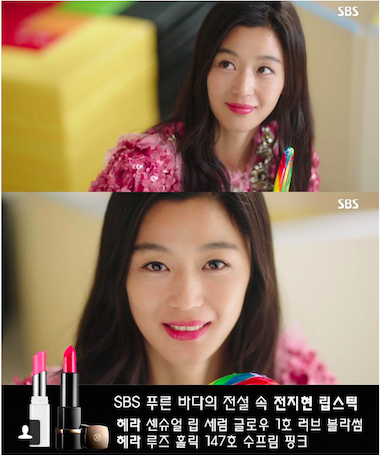 So sad…the lipstick used by Jun Ji Hyun in the drama was SOLD OUT !!!!! These 3 Hera lipsticks were SOLD OUT. Which means have to wait for 2 more weeks or so for the stocks. I asked my MIL and Bro in law for a favour to keep a look out. I like the RED more actually. 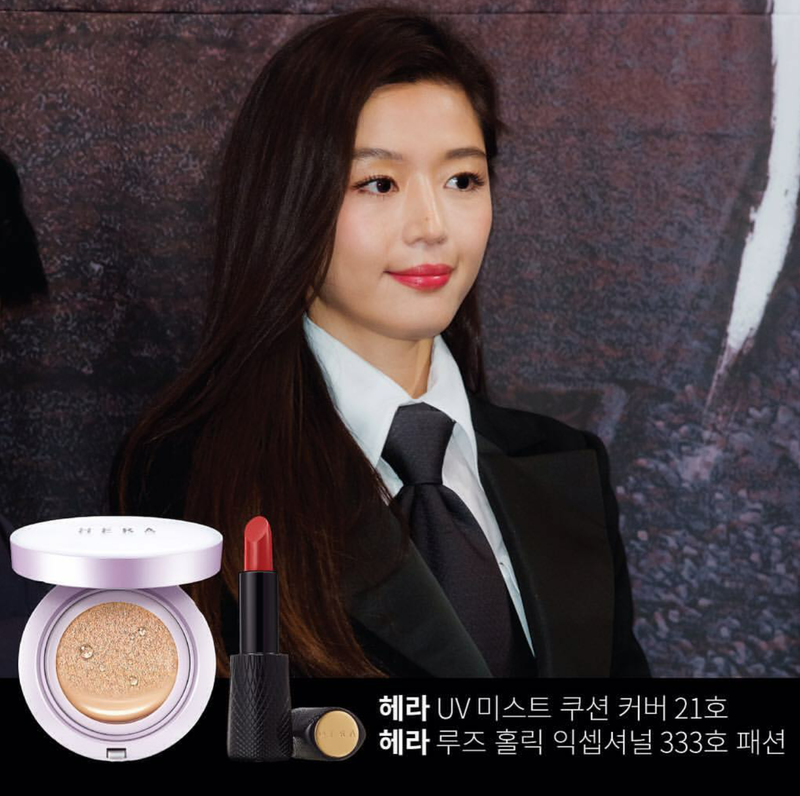 She is using Rouge Holic #333 here. Btw , i just finished my vaseline body moisturiser and recently got the Face Shop Fresh Milk Cream moisturiser. I LOVE IT. Review later…after 1 week of use then i review. Smells really like milk powder. It contains fresh milk from Dae Gwang Ryeong mountain in Korea. Well known for the high mountain goats’ milk. Goats were fed more fresh and green pastures so the milk produced supposedly to be fresh and of high quality. It reminds me of the taiwan sheep farm i went to earlier this year lol. 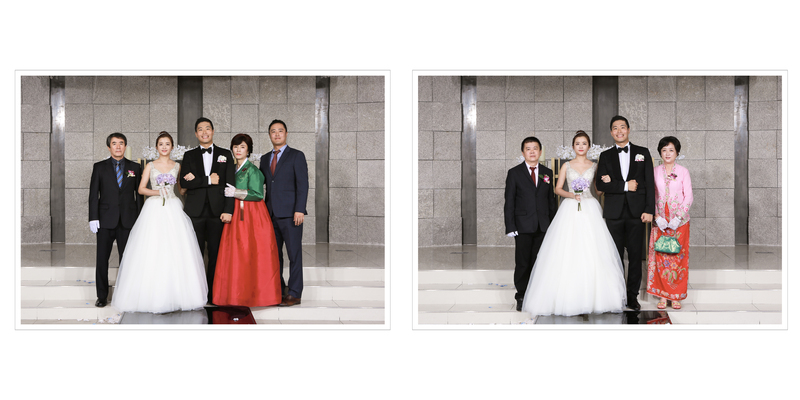 Just received my pictures from my photographer for my wedding in Korea. 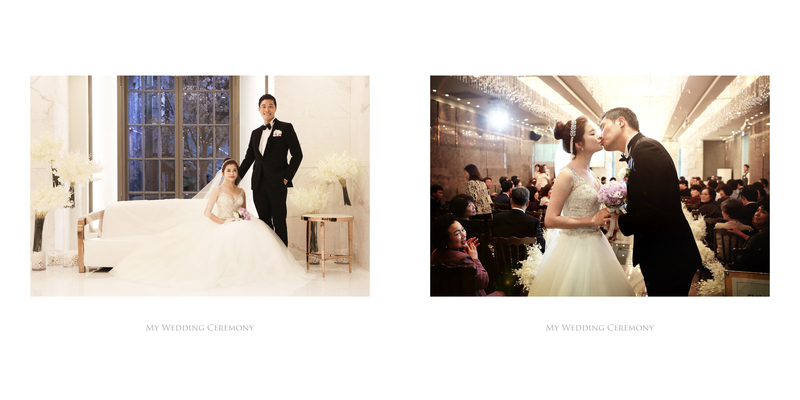 If you are interested in taking your wedding pictures in Busan studio , drop me an email at peonykissblog@gmail.com so i can link you up. Full translation throughout the shoot with a minder accompany , album sending to SG , transport to and fro studio , concierge service , deposit placing with studio to secure your shooting dates and dresses etc and liasing and translation of requirements of selected photos for editing to studio. If language is a barrier for you esp when you want them to do your style of edits and does not want to be short changed during shoots (didnt get what you paid for or promised) and want a peace of mind and would like to opt for this concierge service , drop me an email so i can link you up with the concierge with the selection of studios. The studio i went to is the best in BUSAN and one of the best in KR with celebrities doing their shoots there too. 2 months liao..omg time flies man…i wanna travel back time ! Click to view enlarged photos ! Here’s what i was busy with for the past 1 month. We are now husband and wife. 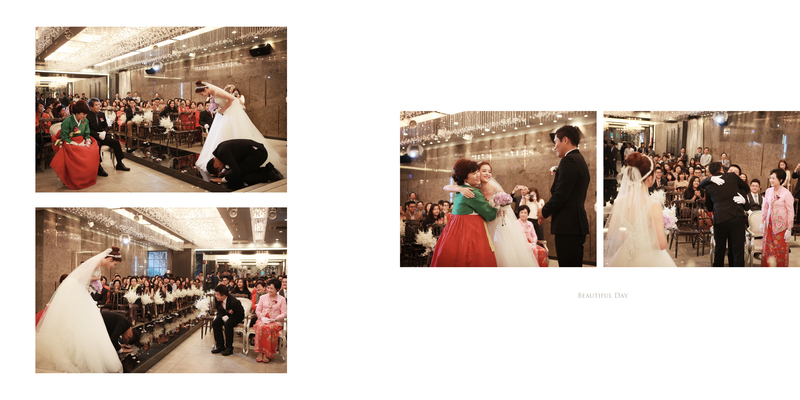 In October , we will be registering our marriage in Busan, South Korea and hold our wedding there. 08 Oct 2016 is the day in Korea. Haha we have 2 wedding dates so we are using the SG date for our anniversary date. Easier to remember also..911. 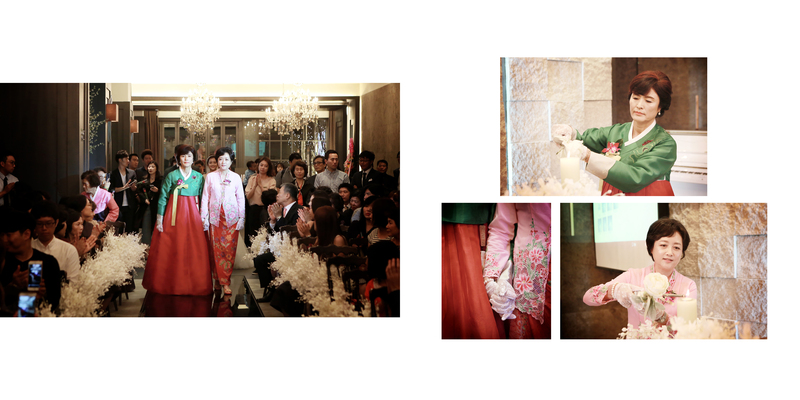 The ROM in SG is a cozy and small 80 pax ceremony where we only invite our families and closest friends. The buffet banquet will be in Korea instead. Pardon for the lack of blog updates. Actually i have written a blog post on #Smartlady and #Kbeauty but the blur me saved it as “private” instead of “public”. So this blog post gonna be a loonnng one ! So my bro-in-law came to SG last week. I think he is quite a popular guy haha cos he is very gentle giant , knows how to cook and is capable eligible bachelor..such that my relatives and friends want to match make him. He is still SINGLE. His arrival also means my #Kbeauty arrival which i ordered online and sent it to our place in Busan. 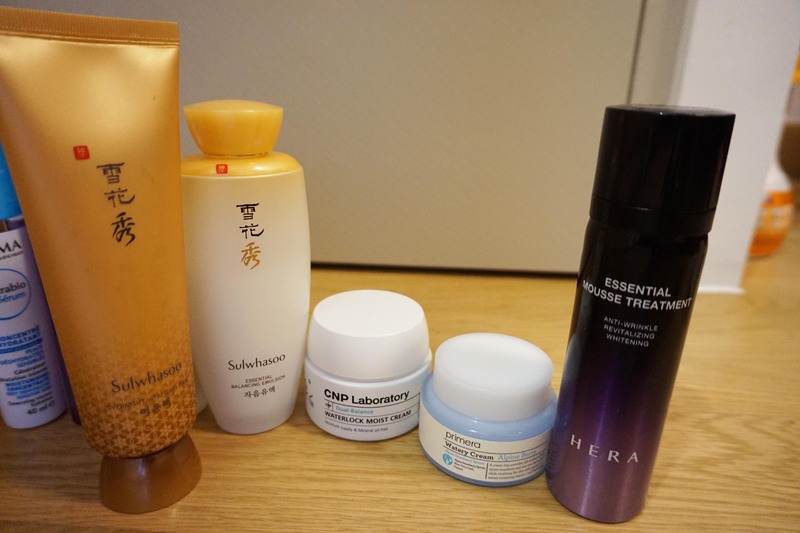 Here are some new #Kbeauty i bought and i really like them. There are a few more but won’t be reviewing it now because i have not used them yet or not long enough yet. 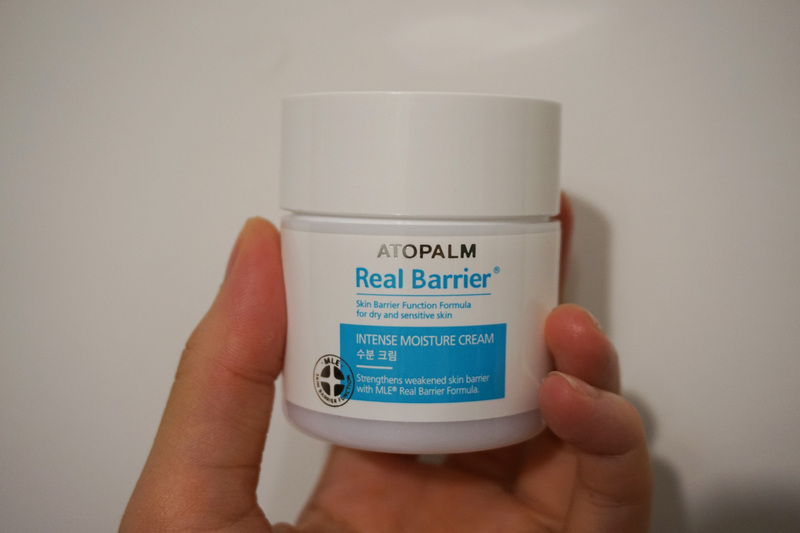 Atopalm Real Barrier Intense Moisture Cream. It is a moisturiser cream and not very “scenty” like other perfumed moisturiser. My skin feels dry lately because of late nights and also the air con in office is sooo cold and dry that makes my skin feels so dry and tight. So i opted for something more rich. I really like it because is moisturising and compliments with my base make up. 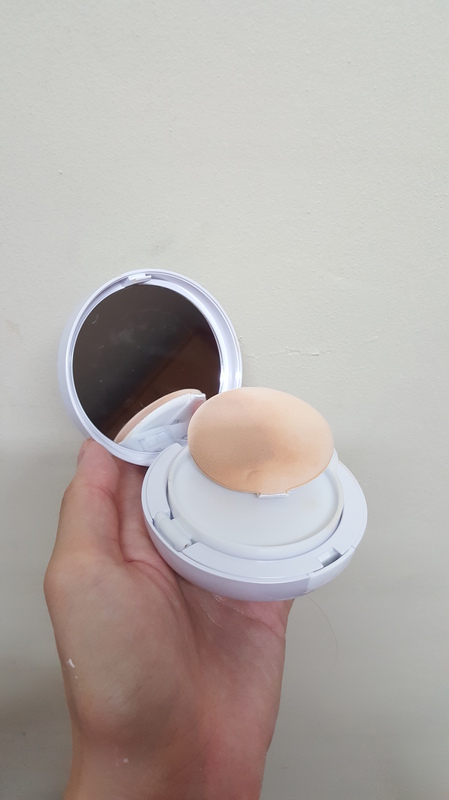 My BB cushion sets very well on it. 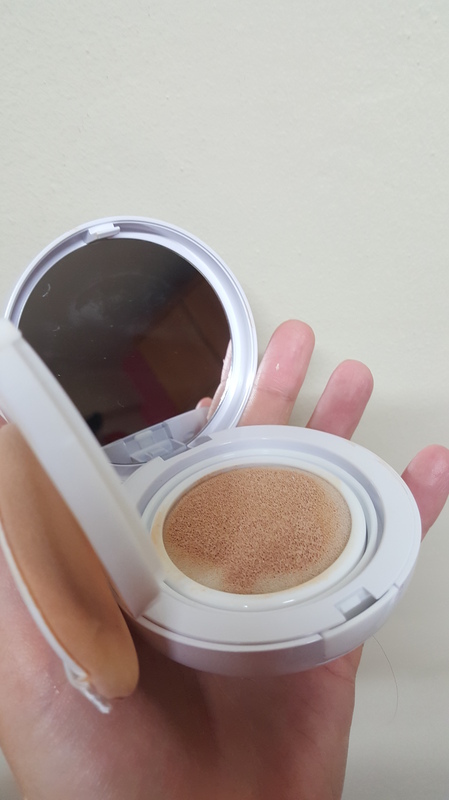 You know , some creams are too rich and the texture is so thick that when you apply your BB cushion , it sort of mixed in and makes the whole look and feel very gluey and gross. Is it worth buying ? Yes i think it is . It works on my skin type and i hardly experience dry skin these days. It is not very oily also. It is quite a popular brand among the ladies there and my housemate is using this too ! It is in my stock up list ! If you have oily skin and wants to try this brand , you can try the gel version. I was tempted by the pink colour so i carted out. Also i need brushes. 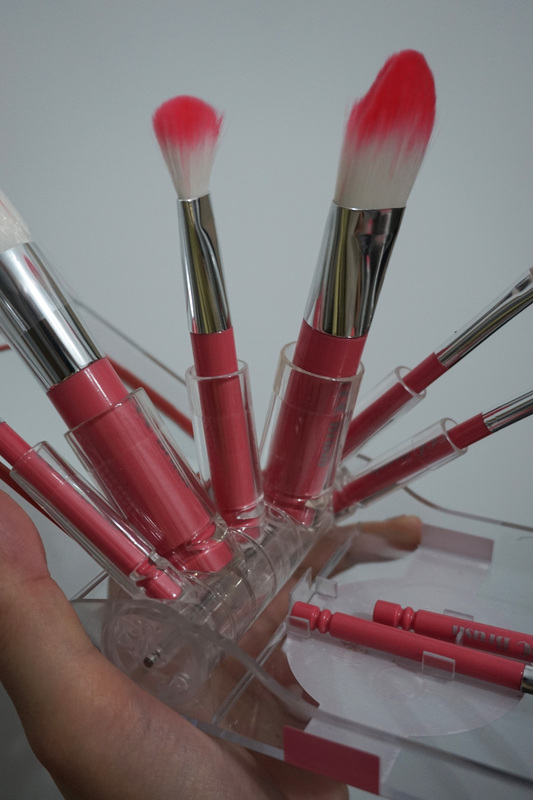 My 3CE brushes already so cui. Used them for 4 years already so it is time to change. This set of brushes are very soft and nice. 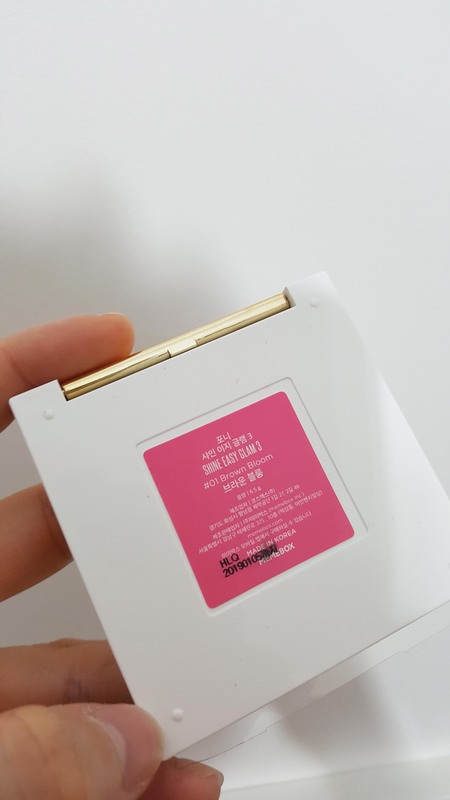 The powder and make up glides on easily during application. Also , the packaging is compact and travel friendly. Easy to keep in your handbag or luggage. So compact that i can bring the entire set out. When you open the casing , the whole case fans out like that with the brushes in their place. So all are neat and tidy. You do not need to dig out from your pouches and arrange them one by one. Comes with mirror that open up by itself also. When you close it. Just slot the brushes back into their slots and close the casing..Tadahh. This is a super good buy i tell you. There is a bigger version but i thought i don’t need soo many brushes. So i got this set instead. 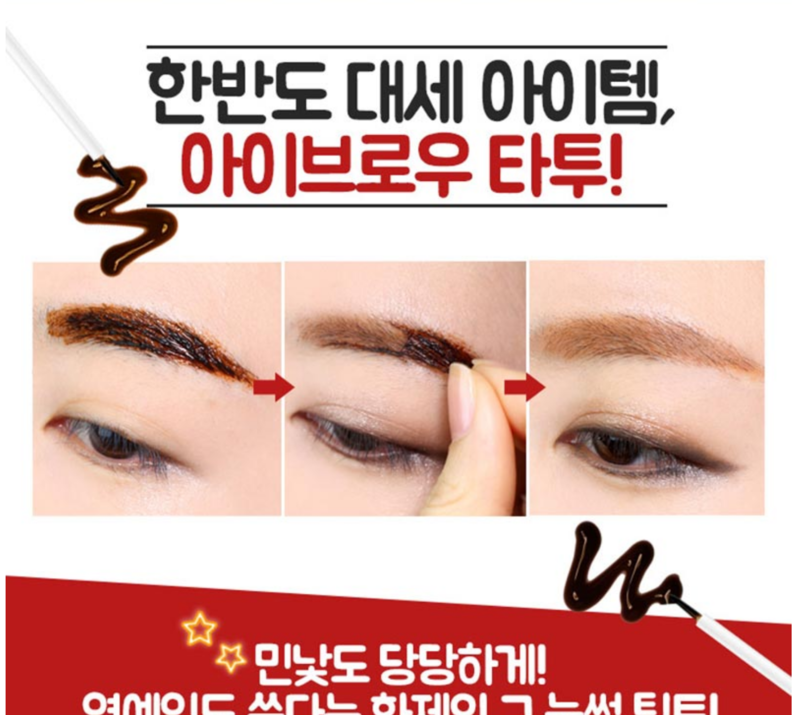 It was also featured in Korea beauty show – Get It Beauty. 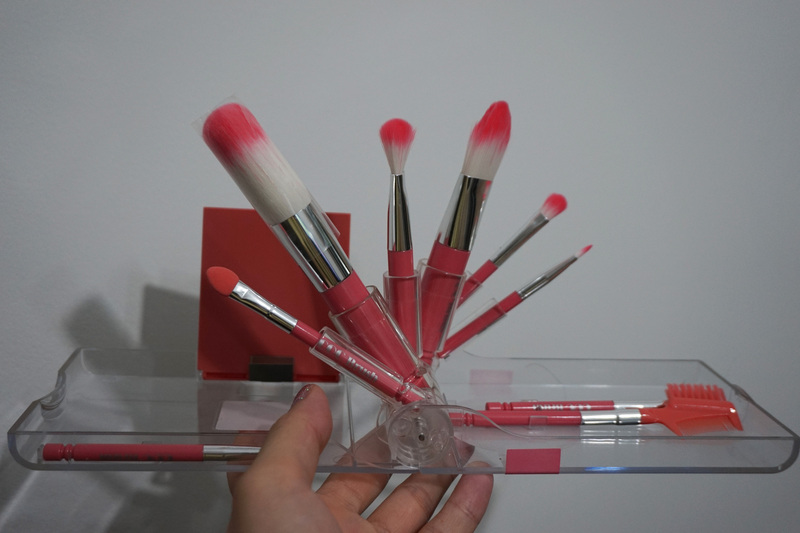 Comes with 9 brushes – Blusher brush , foundation brush , 2x eye shadow brush , eyebrow brush , concealer brush , eye liner brush , eyelash comb brush, sponge tip. 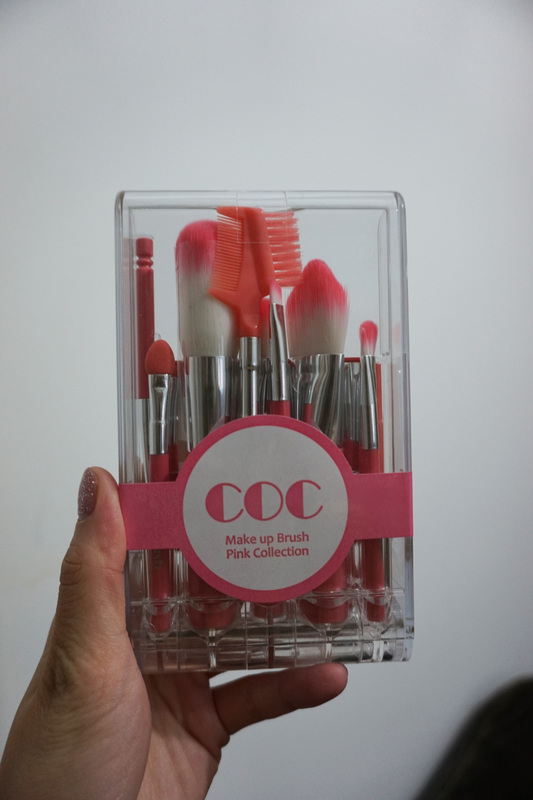 This set is super worth it and the brush are so soft and compact to keep in the bag or travel. 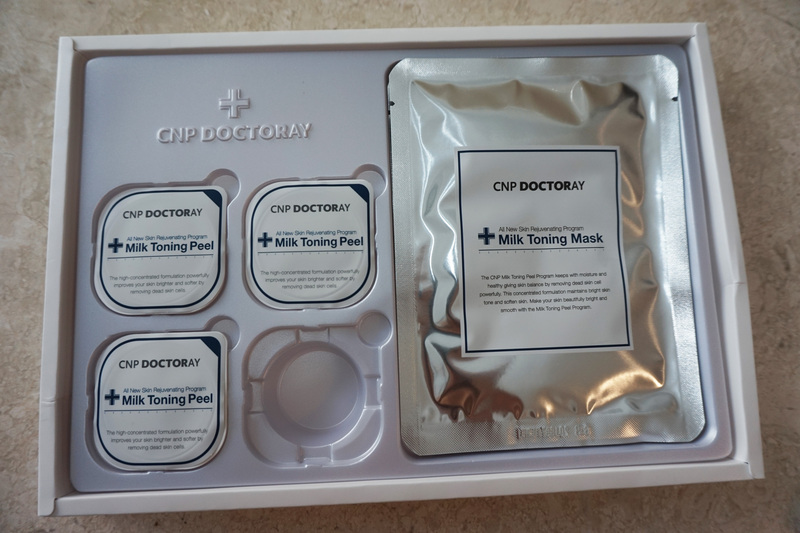 My MIL bought me 3 sets of CNP Milk Toning Peel. Yes..im a fan of aesthetic brand CNP now. They also have aesthetic clinics in Korea. Cheaper to have aesthetics done in KR. This peel is SUPER GOOD ! If there are more than 5 stars , i will rate it more than 5. As you can see, there is one “lobang” already. because i already used it once. 1 set comes with 4 toning peel and 4 toning masks. My mil bought for me 3 sets and it came with a brush. You are supposed to use it once a week. So , 1 set = 1 month. I was told that it is better to use it for 12 weeks ( which is 3 months ) so she got for me 3 sets. 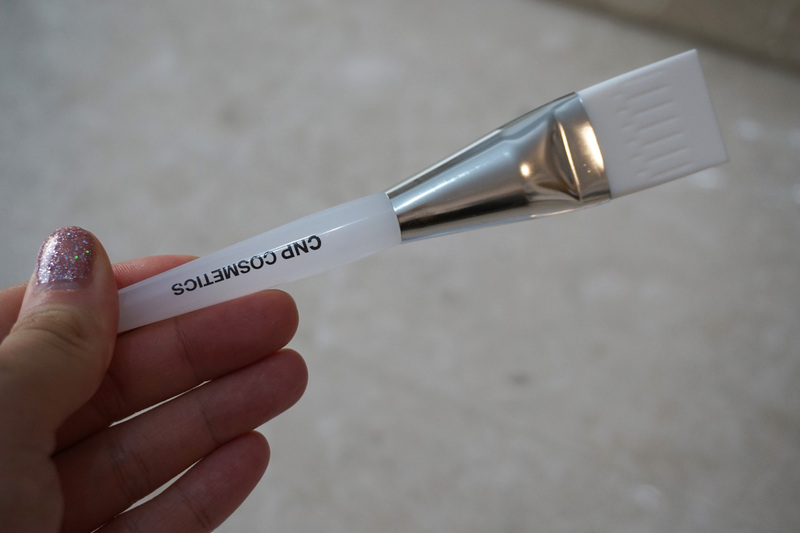 This is the brush you use to apply the toning peel and its texture is similar to that of a serum. It looks complicated with so many things but actually the whole process took 16 minutes in total only. 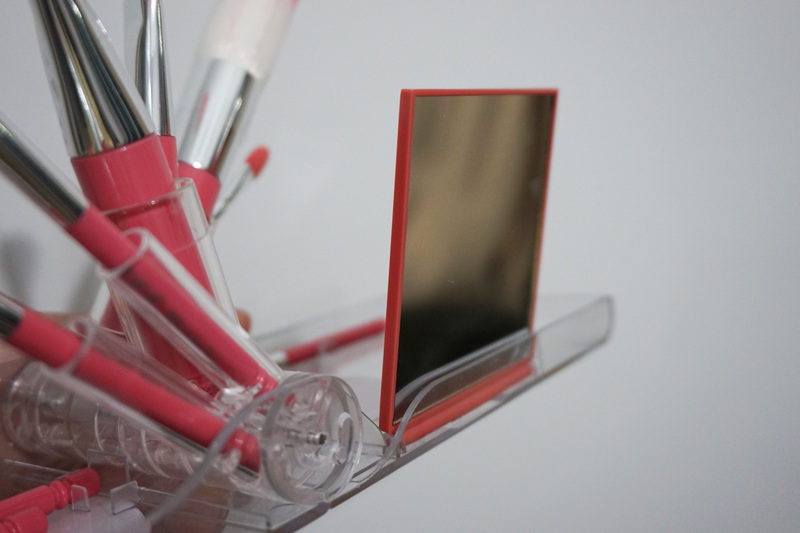 Open the Milk Toning Peel and use the brush to apply the “serum” onto your entire face ( avoiding eyes area ). You will feel abit of tingling sensation. I felt it and it felt like someone using a small needle to poke my skin. I felt it on my cheeks and forehead only. Guess that’s where most of my dead skins are ..maybe ? It is not painful but just felt some tingling sensation on some parts of the face. Leave it on for 1min or 1.5 minutes before you wash it off with warm water. After which , pat dry your face with towel and put on the toning mask for 15 minutes. The mask actually helps to soothe the skin after the peel. The effect is really THUMBS UP ! Cannot praise it even more. My skin felt so soft and radiant. I didn’t even wear make up the next day after i used it the night before. Told my colleague that i didn’t put any make up to work today and they were surprised. Because my skin looks radiant and dewy. I just used it on my husband (Gosh..not used to call him hubby or Yeobo (Korean version) ). He is very tanned because he plays baseball every week ( 2 times a week ) and have uneven skin tone. This peel evens out his skin tone and his skin suddenly looks so clean. This is my favourite skin peel so far and i really like it. Will definitely stock up more. Price KRW 28,500 per set ( 4 times for a month use ). Also i finally tried the lip tattoo. Very easy steps. Just apply on dry lips , wait for it to dry and peel off. To be honest , it doesn’t really work well on me. The colour isn’t that obvious. And if you really want to buy and try , buy the one that is bright red in colour. I got 2 colours ( Coral and Red ). The coral one is totally waste of $$ because it doesn’t have any effect. The red one is still ok. Can see that my lips at least have “some colour”. It is definitely not like what was shown in the picture below. My friend tried it and it doesn’t work on her as well. I don’t think this is good nor does it worth the $ . It doesn’t work. Same goes to the brow tattoo. Very messy. Got some more #Kbeauty products but i have yet to open and use them yet. LOL. Will review more i used them. Just got 2 BBIA cream eye shadown pencils. Can’t wait to use them. Colours look so gorgeous ! 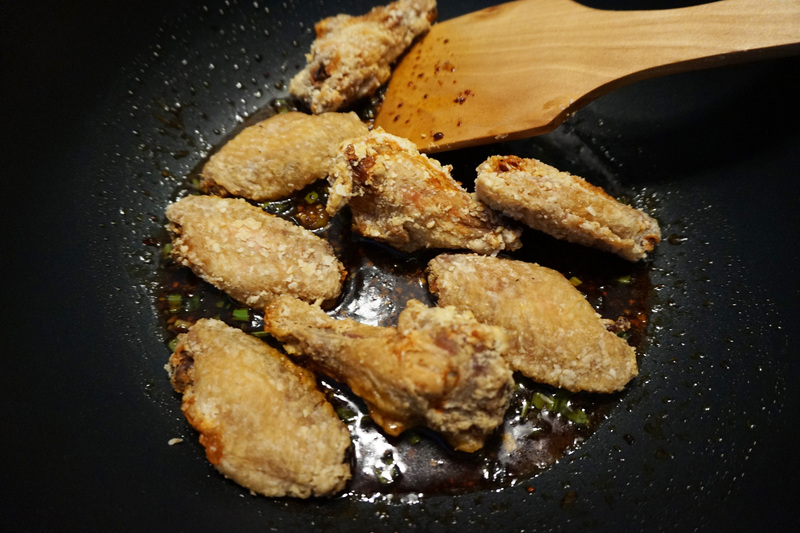 This week , im going to share recipe to cook Korean Soya Sauce Fried Chicken. 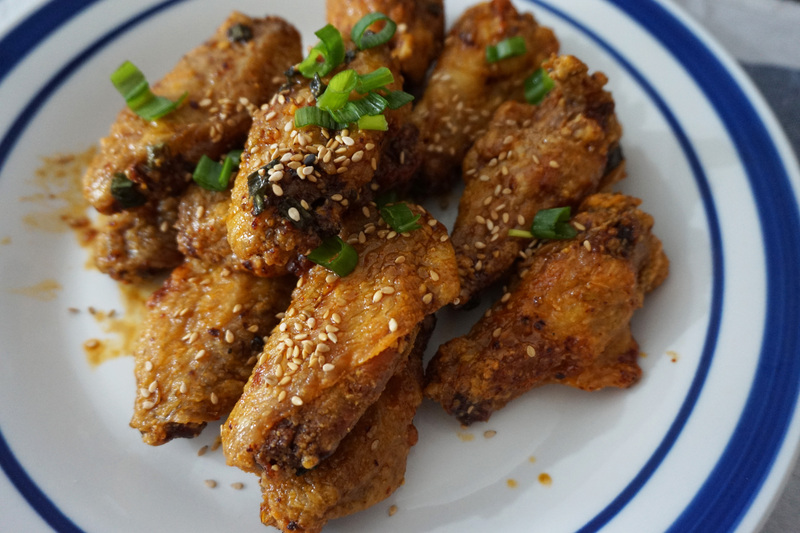 Korean Fried Chicken + Beer = Chi-Mac ! Yes , you do not need to queue and spend $$ at Korean Fried Chicken joints. You can do it at home and it is healthier. Good for parties and for kids too because it is not spicy. 1 bowl of corn flour. Wash and dry the chicken parts. I use fresh chicken instead of frozen ones. It will taste better because you need to fry it twice. After drying the chicken , coat them with corn flour. 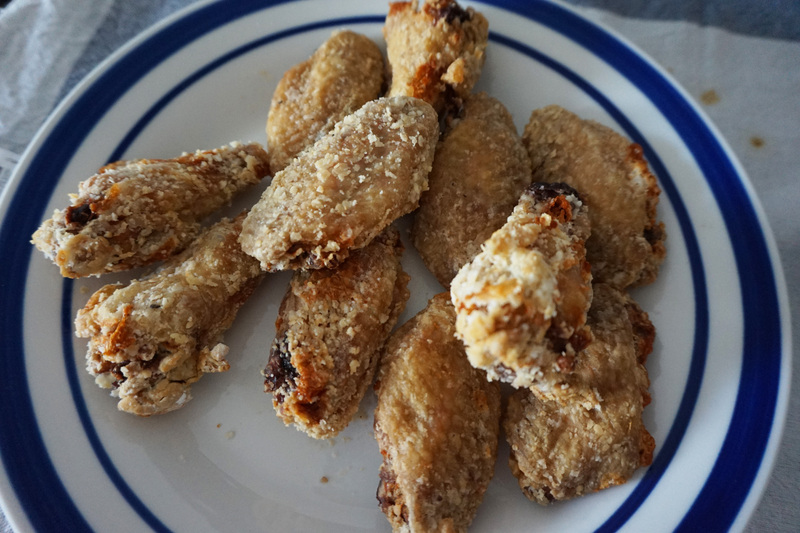 I used air fryer to air fry the corn flour coated chicken parts. 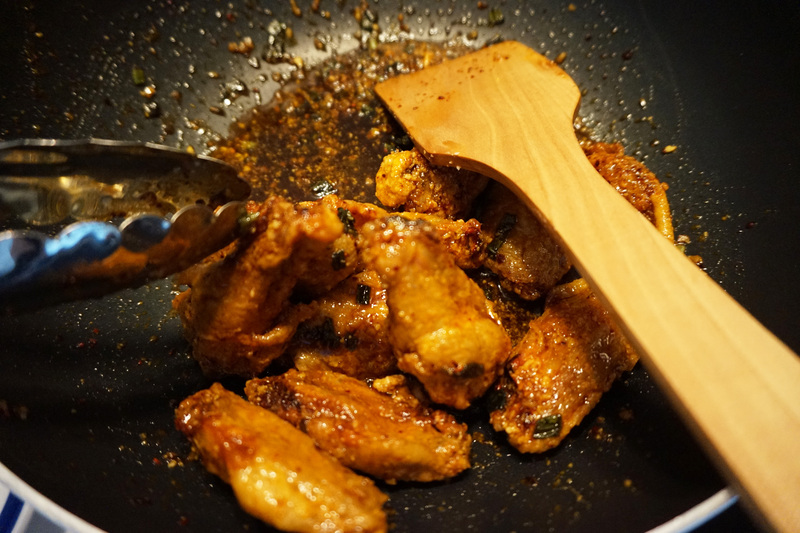 You can use a wok of oil to fry if you don’t have an air fryer. Air fry for about 25 minutes until it is crispy brown. After air frying all the chicken, leave them aside on a plate. Mix all the sauce ingredients in a bowl and leave it aside. Heat up a pan/wok with few spoons of olive oil. Once the pan is heated up , pour the bowl of sauce into the frying pan until it sizzles. Switch from medium to low heat. Throw in the fried chicken in mix it with the sauce. Switch off the heat and serve ! Sprinkle some spring onions and sesame seeds to garnish. 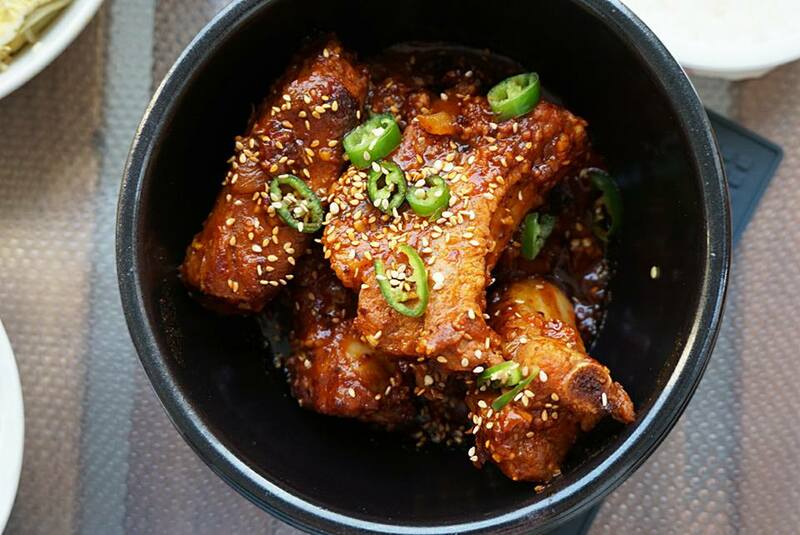 Now, here’s your home cooked Korean Soya Sauce Fried Chicken. Super yummy ! Oppa ate all 22 pieces lol. I only had 4 ???? Also, i just made some Ban Chan ( Korean side dishes ). Will share recipe soon ! This post was in draft for almost 2 weeks. There are some personal things i want to share after much procrastination. This post gonna be longggg since it was in draft for 2 weeks ! Last week , i finally met up with almost everyone in the #KBS group which i created almost a month ago. KBS stands for Korean Boyfriends and Spouses. 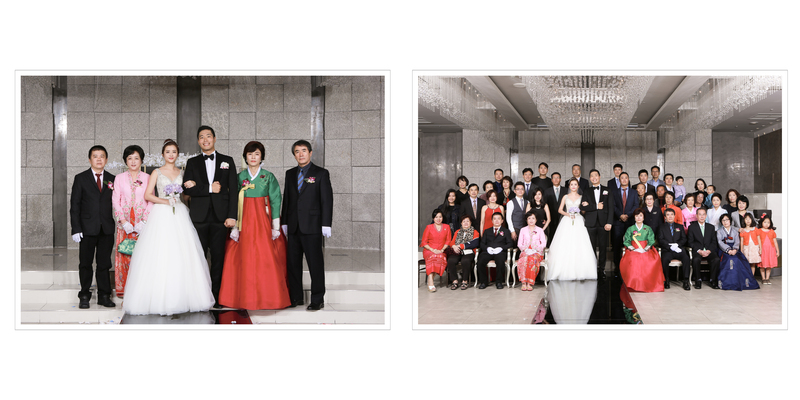 The group is made up of Singapore ladies with Korean fiances and spouses. We had tze char at Melben and after that , we all go to Koryo mart to do our Korean grocery shopping. It was really nice to meet everyone and we shared alot of our experiences. Good to have support in Sg and in Korea. Alot of information we can share and help each other like applying for long term passes in Korea, registering marriage or child’s birth in Korea and SG etc. We are planning for another pot luck gathering soon and this time with our other Korean halves. If you have a Korean spouse or getting married soon (engaged already) and want to join this support group , you can send me an email at peonykissblog@gmail.com . Glad to hear that everyone is happy to have this support group and people who are in the same situation and marriages. Hehe i tried new dishes over the weekend. This is the first time i made Korean Japchae and Spicy Pork Ribs (Yang Nyeom Galbi). I was quite surprised by my own cooking this time round. So delicious and i cannot believe i cooked it too. Alot of work for Japchae. Quite tiring to cook this. Alot of plates to wash too. 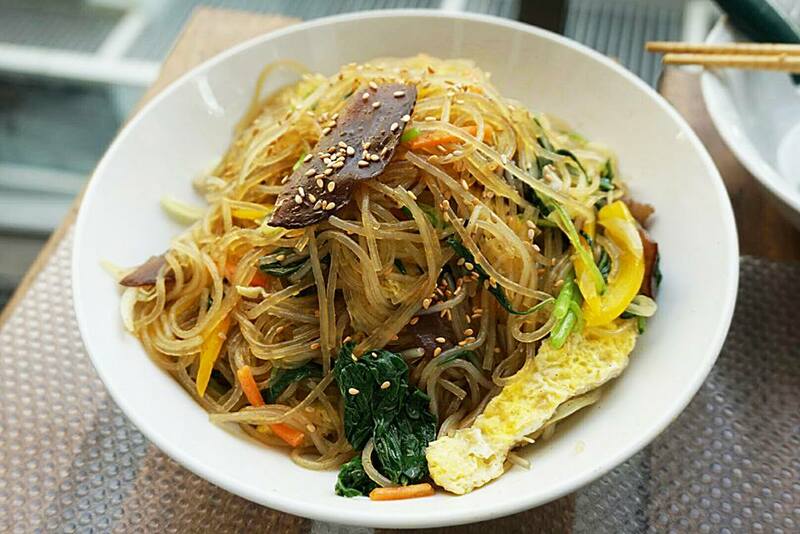 Korean thin potato noodles , shitake mushrooms , black fungus, carrots, yellow/red capsicum, onions, eggs, spinach, salt, sesame oil, black pepper, soya sauce. 1) Soak and wash mushrooms and black fungus in water. Slice them into thin pieces and squeeze out the water . Fry in pan with olive oil , add pinch of salt and black pepper. Put into a big bowl and leave it aside. 2) Cut and sliced carrots and capsicums into thin strips. Fry in pan with olive oil and add pinch of salt. Put all into the big bowl together with mushrooms and fungus. Leave it aside. Do not mix in with 1) and 2) ingredients. Leave it aside. 4) Boil spinach for a minute. Take out and squeeze all water out. Slice into 3 or 5 cm sizes. Put in a small bowl and season with sesame oil and soya sauce. Leave it aside for awhile. 5) Cut onions into thin slices and fry with olive oil in a pan. Add a pinch of salt. Once the onions become translucent, pour it into the big bowl with ingredients from 1) and 2). 6) Boil the Korean potato starch noodle in hot water and once cooked, take out and wash under cold water and drain away the water. Use scissors to cut the noodles cos they are very very long. Put the noodles in a frying pan and fry with olive oil. Add 5 table spoons of Korean soya sauce and sesame oil. Add 2 tea spoons of black pepper. Fry and mix to change colour of noodle to brown. Add abit of water so frying will be easier. How much soya sauce and sesame oil to add depends on the noodle portion you are cooking. After frying the noodles, put into the big bowl with ingredients 1) 2) 5). Wear plastic hand gloves and mix the ingredients with the noodles. Add in the seasoned spinach into the big bowl and mix them together. Add some more soya sauce and sesame oil and black pepper. Lastly add in the thinly sliced eggs and mix everything tog with hand. Add sesame seeds. Ready to serve on plate and add the last drizzle of sesame seeds. Now you know what i mean by alot of work and plates/bowls to wash for Japchae. Cut , fry , mix and you repeat for every single ingredient. The more ingredients you add , the more work to be done. I didn’t add in any thinly sliced pork belly or beef because i don’t want my Japchae to be too oily (oil from pork bellies). So you can choose to add in the meat or not it is up to you. Super yummy. Double work for me because Oppa said it is so nice and i cooked the other half packet of potato noodles. He ate the entire pack of noodles. haha 1 pack can serve about 4 pax. I cooked this too with the Japchae. Really multi tasking. One hand was mixing and the other hand was flipping the pork ribs in the pan. 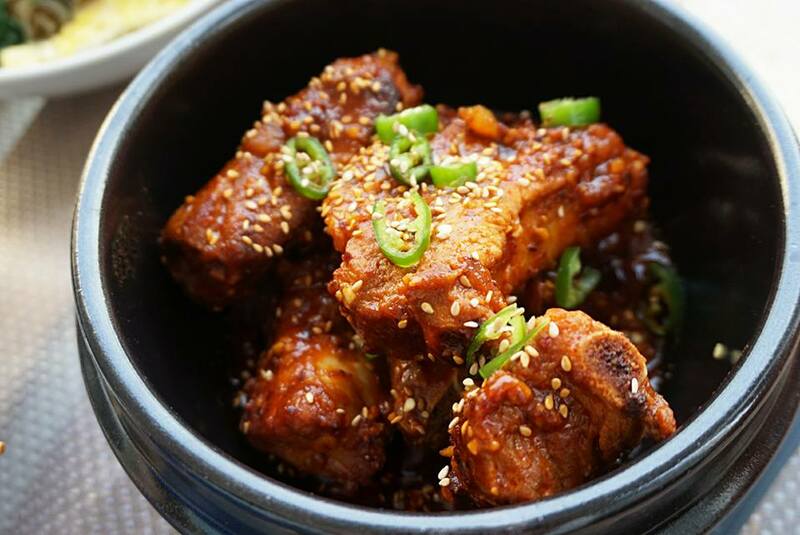 Ingredients : Prime Pork Ribs , Korean red pepper paste , Korean chilli powder , 1 green chilli , minced garlic , chopped onions , sesame oil , soya sauce , pepper , sugar (brown sugar/honey/white sugar …in my case i used brown sugar). Well , you need a big round bowl to mix these sauces with the ribs. So get it ready ! 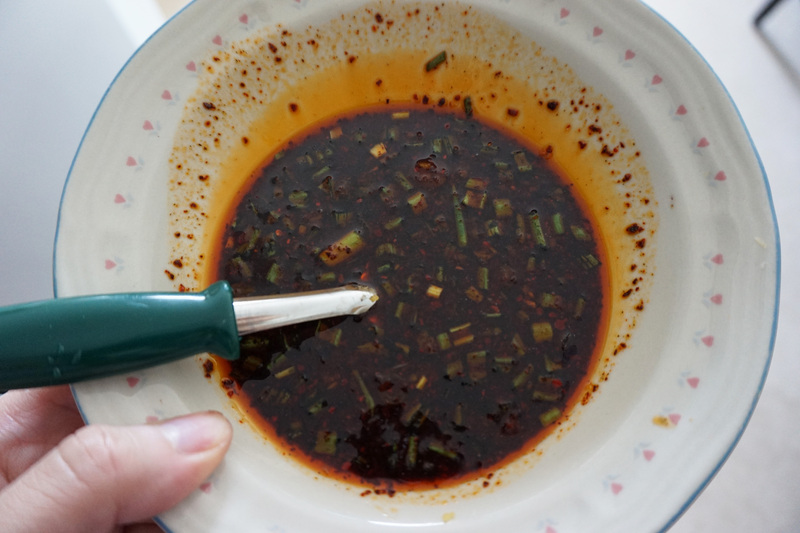 In the big bowl , add 4 table spoons of red pepper paste , 1 table spoon chilli powder , 2 table spoon of minced garlic , half onion chopped into minced pieces , 2 table spoon of soya sauce , 2 table spoon of brown sugar, 2 table spoon of sesame oil and 1 tea spoon of black pepper. Mix all these sauces together. 2) Wash the pork ribs and squeeze out the water. Then put into the big bowl of sauces and mixed the pork ribs with the sauces in the bowl. Just keep mixing until the pork ribs are all red. Wear a plastic hand glove and mix it with your hand. It is easier and can mix better this way and so that the prime ribs can be well seasoned. Leave it aside for 20-30 minutes before you start cooking it. 3) Add olive oil in a pork of frying pan or pot. Pour the entire bowl of well marinated pork ribs and the sauces from the bowl into the pot. Fry on high heat before switching to medium heat. Add abit of water and leave it to cook and stir and flip the ribs so that it will not get burnt on one side. Once done , serve on a plate or the Korean earthen ware. I heat up the earthen pot first before transferring the well cooked pork ribs from the frying pan/pot into the earthen pot. The pot keeps the sauce and the meat hot and warm. The meat can be abit tough and hard if it gets cold. If you don’t have the earthen ware , you can just serve on a plate. Cut the green chilli into thin slices and garnish the ribs together with sesame seeds. Some people add the green chilli when they mix the sauces in step 1) but i don’t really like to eat green chilli so i didnt add in from step 1. The pork ribs looks difficult to cook but actually it is the easiest compared to Japchae ! Just mix all the sauces together with the pork ribs and cook. 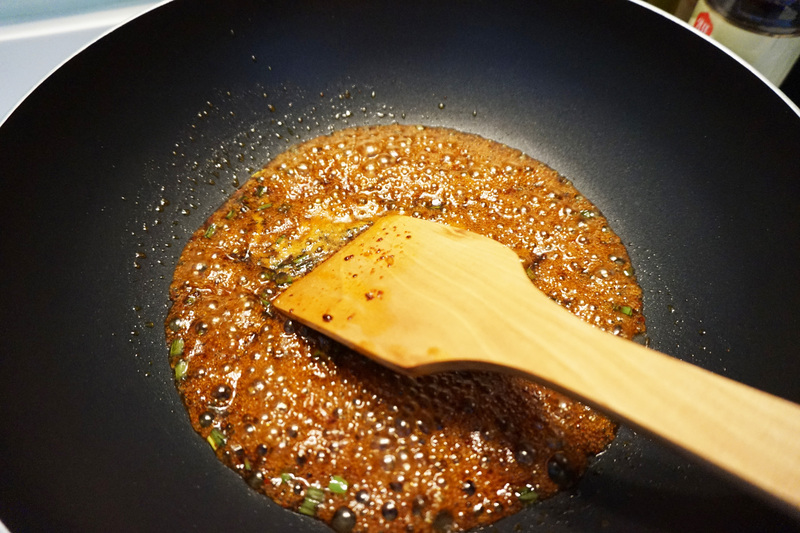 Korean soya sauce and Korean sesame oil are commonly used so if you are interested in cooking your own Korean dishes, these are the must haves in your kitchen. They are not that expensive. about $3.60 for big bottle of soya sauce and $3.90 for a small sesame oil. I bought a tin of $14.90 sesame oil (in medium size tin packaging) since i cook often. Here are 2 of new additions into my daily skin care routine which was mentioned in the previous post. I realized i have not reviewed them yet. It actually took me awhile before i decided to try this brand. I read reviews online and to be honest i don’t trust alot of beauty reviews or i just read their reviews with a pinch of salt because most beauty reviews are paid to do so. And it is hard to determine a product is good or not just by trying it on the back of your hand only for the first time and once. I actually went to try the tester bottles many times before i decided to buy and try. And at most if it didn’t work , just use and apply on my neck lor. CNP products are not that cheap even though they can be found in drugstores like Olive and Young (Korea), Guardians and Watsons ( in SG ). But im glad these 2 products works for me and worth the buy for me. It promises to remove dead skin cells and boost skin radiance/brightening within a week. It is to apply before toner. You don’t actually see “dead skin cells” coming off like using a peeling gel. So don’t expect to see “beads” or “rolled up” whitish stuff when you apply. Does it boost skin radiance ? The difference is not alot but i can see my skin is slightly more radiant after using it for a week. I really like this alot. There is no need to rinse off after applying. This is the first thing i apply after my shower before i proceed with toner. It is very expensive in SG. But in Korea, Lotte mall is having 20% discount and this is only KRW 24,000 now. It is about SGD49 if you were to buy in Guardian. I also got the Propolis Energy Ampule. I usually apply this before my sheet masking. I alternate this with Hera hydration ampule. I feel that CNP Laboratory is like Leaders Insolution brand. They are products from aesthetic doctors and dermatologists in Korea. 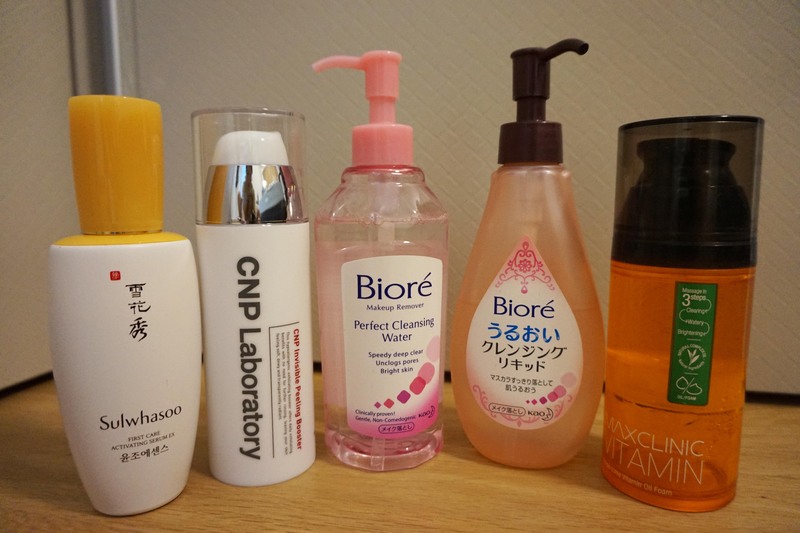 I really like these products and so i actually carted out a peeling gel and the serum also from CNP from Lotte.com ! Can’t wait for my bro-in-law to bring them from Korea for me this Sept ! He is coming to SG yay ! I wonder where to bring him around and activities to do. He takes really good care of me and i want to be a good host when he comes too. Will review the peeling gel and other serums once i started using them for at least 2 weeks and if it is good ! Gonna continue the #Smartlady draft . Some personal things and experiences to share and hope it helps girls out there. And new review on the lip tattoo i used. Hello ladies ! Well , i receive couple of messages and emails to request for more blogging updates. I realized that my blogging frequency kinda reduced by 50% ? Instead of 4 posts a month , it dropped to 2 posts a month. Well , kinda busy these 2 months. Plus my health was not really good in a point which is also something i want to share with everyone later. I will try to share at least 4 times a week here. Its been 2 months since we moved into a rented apartment. Life was good. Felt like home though it was rented. Lol now i worry about moving to a new place if we were not to renew our rental here next year. Because there are so much to move and pack ! I really can’t wait to apply for his PR so that we can apply for housing here , settle down and start a family. 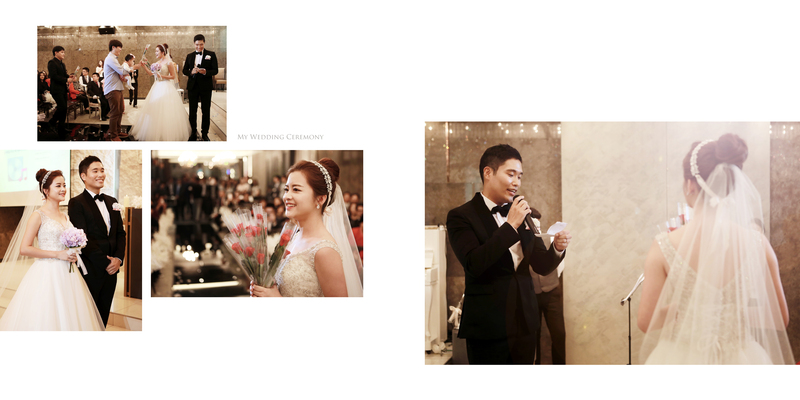 1 more month to our ROM in SG and 2 more months to our wedding in Busan. Friends and family members will be flying over and alot of accommodation arrangement to do. MIL sold off her hotel inn and franchised a BBQ restaurant. If she still have the inn it will be quite easy to house everyone because the location was very convenient. MIL’S apartment in Busan will only be ready in 2018. Next time my family members and friends can stay there if they travel to Busan. So do i feel excited about our wedding ? ehhh to be honest , both of us don’t feel that yet. Because we both felt like we were married already. After work , i will come home to do the laundry , cook if i have time and if it is not too late and i do grocery shopping every sunday. Here’s what i prepared last sunday. 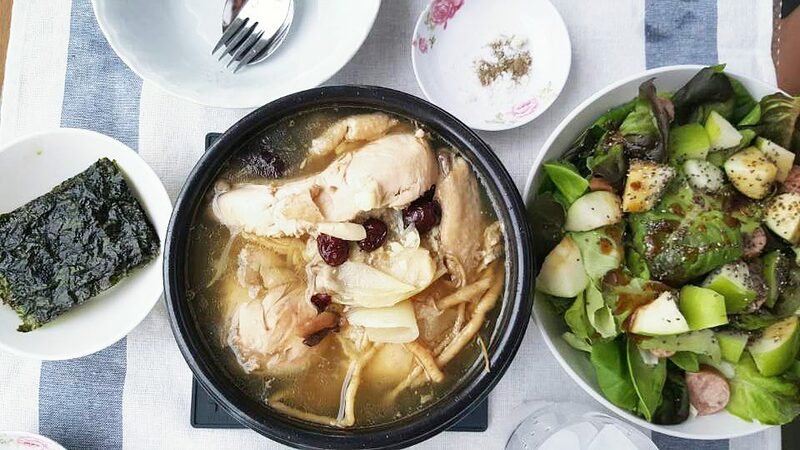 Korean Ginseng Chicken and Salad ( diced apples , lettuce , chia seeds , bavarian sausage and oriental salad sauce. Took 1 hour to boil the ginseng chicken and while it is boiling , i will prepare the salad. So took about total of 1.5 hours to prepare. Korean ginseng chicken is pretty easy to cook. Sounds and looks difficult but very easy. 3) Lots of red dates , i put about 18-20 small red dates. 5) Whole chicken (washed and with head and feet removed . I trimmed off the fats and take away some skin ( not fully ). Firstly , i boil a pot of water and add in some kelps. Let it boil for about 15 minutes. In another pot , i lay the seasonings ( Onions , red dates , ginseng , herbs and garlics ) at the bottom of the pot and then i will put the chicken in nicely. This is so that one side of the chicken do not get burnt. This is also so that the seasoning will not all float to the top. Add 1 teaspoon of salt. Turn on medium heat for about 30 minutes to cook the chicken and after that i switched to low heat for next 30 minutes. When i switched to low heat , i will transfer the cut the ginseng chicken into 4 parts and transfer the chicken and soup into the Korean stone pot. The stone pot helps to keep soups and stews hot because it retains heat. I prefer buying the matt ones. Because my chicken was too big and i can’t squeeze into the largest stone pot that i had, so i cooked the ginseng chicken in a normal non stick pot and transfer it to stone pot. It is pretty easy. Just throw everything into the pot and let it boil on medium and low heat and ready to serve. So how about the dipping sauce ? All you need is just salt + black pepper. Yes that’s right. Saw the little dish that is between the salad and ginseng chicken ? That is the dipping sauce. I bought lettuce and cut them into bite sizes. Cut green apples and diced them. Add chia seeds and sausage. I bought Oriental Salad Sauce from a Koryo Mart in Telok Ayer street. The sauce is very nice and im going there to buy more bottles back ! That was our Sunday’s dinner ! Well , i have invited some friends over for dinner and BBQ. I think the main focus was my skin care and make up collection in the room. Here’s a “view” of my daily facial care routine. Here’s what i keep in the toilet. Didnt include my cleanser in this photo though. But below are what i used to remove make up and apply right after my shower. Well , i usually remove the make up with Jelly remover because it is very gentle and i do not need to tug with cotton pads. I use the cleansing water only if i tightline my eyes with eyeliner or remove stubborn mascara. 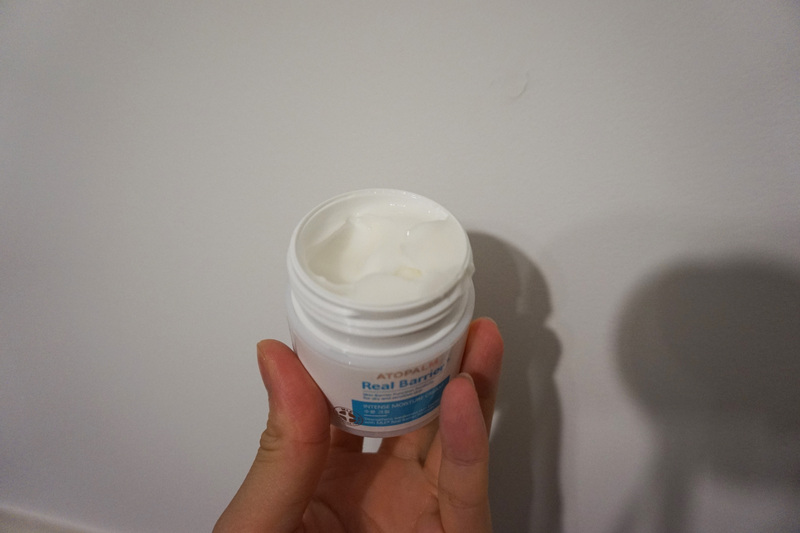 The oil to foam cleanser was mainly to remove the BB cushion creams. Because it changes to foam after lathering with water , it does not give that oily feel. Because i triple cleanse my face , i will buy mild cleansers so that i wont dry out my skin. This are my serums and creams which i kept them in basket. 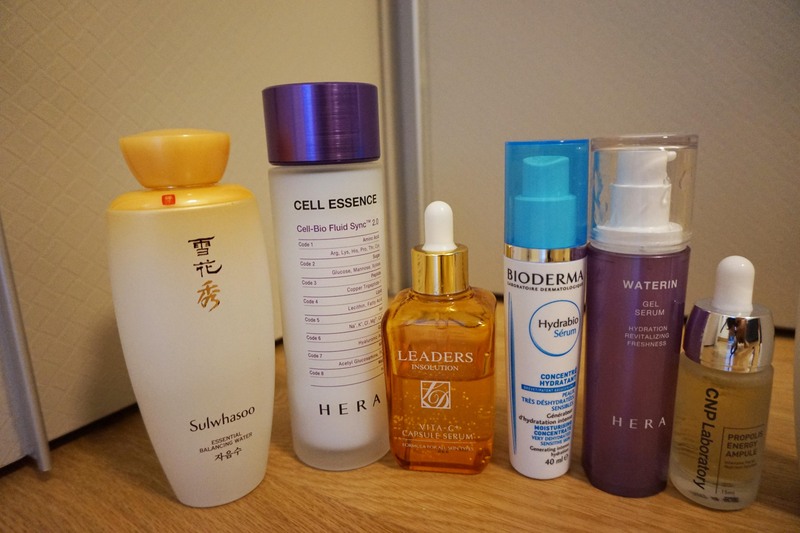 Sulwhasoo Essential Water , Hera Cell Essence , Leaders Vit C Capsule Serum , Bioderma Hydrabio Serum , Hera Waterin Gel Serum and CNP Propolis Energy Ampoule. The Sulwhasoo set was a gift from Mil’s friend who works for Amore Pacific. I actually prefer the Hera ones which i used previously compared to Sulwhasoo. Well perhaps because im still trying to get used to Sulwhasoo right now. I switch between Bioderma and Hera’s hydrating serum. Texture are the almost similar. Hydrating effect for Bioderma is slightly better but takes a longer time to absorb than Hera. 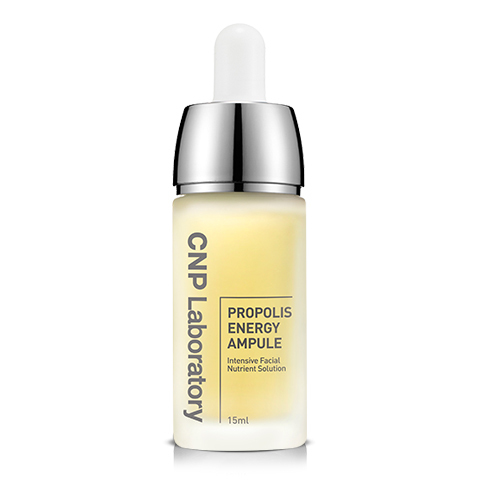 I like the Propolis Energy Ampoule from CNP. It is good and can see the brightening effect after few days. This is my 2nd bottle already. I switch between the CNP ampoule and Leaders Vit C serum depending on what kind of hydrogel or sheet mask im putting on that day. CNP Laboratory is a Korean brand and available in SG’s Watsons and Guardians. I suggest you go to the bigger Watsons and Guardian outlets to buy because they have a bigger range. The small outlet ones have very limited products. You can buy them from Olive and Young in Korea. But the bottles are very heavy. 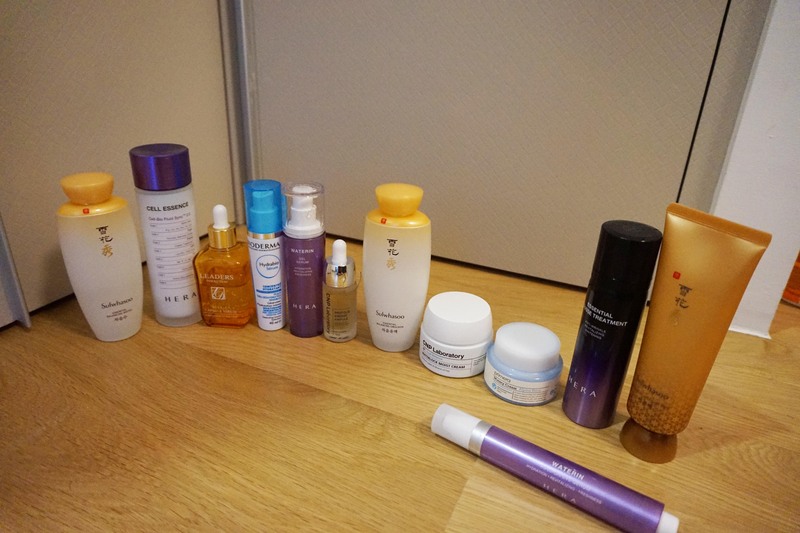 Here are my emulsions, moisturizers and overnight treatment/creams. Overnight mask from Sulwhasoo , Anti aging treatment from HERA , Moisturizers from CNP Lab and Primera and Emulsion from Sulwhasoo. I don’t use 2 moisturizers and 2 overnight creams of cos. It will be too much on my face. My Primera moisturizer is finishing soon so im switching over to CNP after that. I use the anti aging treatment on weekends and the clarifying mask from Sulwhasoo on week days. Of cos , not to forget your eyes ! 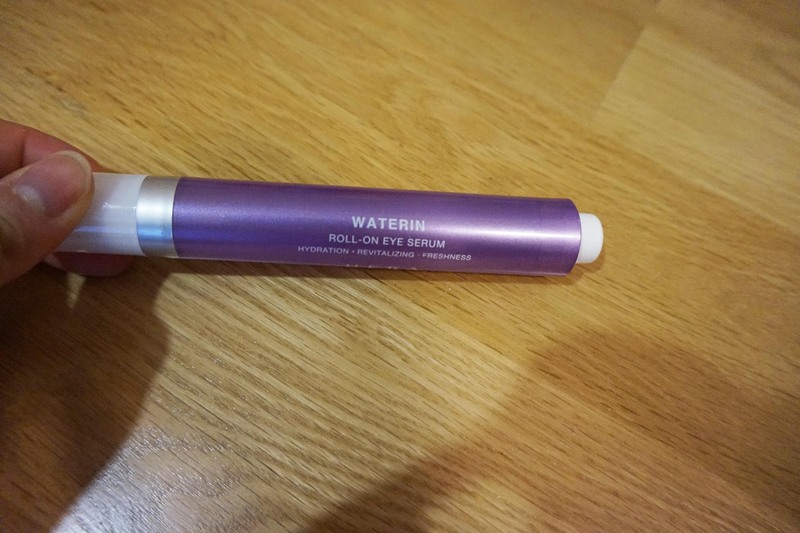 Waterin eye serum from Hera. I love this alot ! This is my 5th or 6th stick i think in 2 years. I use this day and night. So i guess on average i apply about 8 products each time in the day and 9 products each time at night. If i were to include my 3 steps cleansing , that will be 11 – 12 products ( excluding sheet masks ). It really takes alot of time and discipline to do so ! If you were to ask me to review and if the products above are worth buying ? I have reviewed everything before except for the Bioderma Serum and CNP Lab products. Will do so next time round ! Exactly a month ago ! Ahh wanna turn back time. And in 3 months’ time , it will be our ROM in SG. 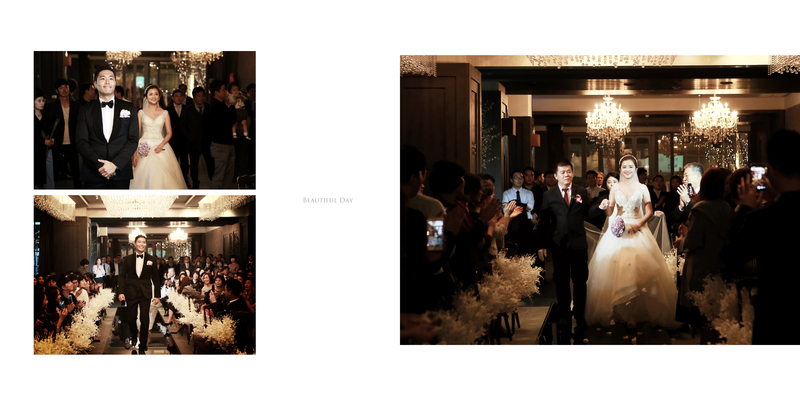 And in 4 months’ time , our wedding in Korea. This Sept , my brother-in-law will be coming over and attend the ROM because Omma just opened her new franchise Korean BBQ restaurant in Busan. Wanted to franchise a popular Bingsoo brand but quota for outlets in Busan was full. Brother-in-law is a very cool guy and took care of me and pamper me alot though he is a year older than me. Im kinda pretty set with the ROM location , catering and now just looking and researching for location/wedding styling. Im doing a cozy and intimate ROM ceremony for my family members. Actually i drafted quite a few blog posts. Blog posts which i drafted while on my way to work or appointments with clients. Because each and every meeting , i meet new people and different people in different circumstances. But i didn’t publish them because they are too many and all in 1-2 paragraphs. It is good to see that more women are coming out to do their own financial planning and investments instead of depending and rely fully on their husbands. I have a quite a number of ladies clients who wanted to do up savings and CPF-investments for themselves and their children. Readers who followed my blog for very long knows about my story , my life and my work. I graduated in 2009 and then had a bank job before i took 2 years break and now i am back in the finance planning industry. I plan alot for young working adults and people who are planning or just started a family. I guess it is because i am also going through the same phase as them ( getting married and starting a family soon ) and that’s why i can relate better to them and understand what are they going through. And since i started , i had alot of clients who had underwriting issues. 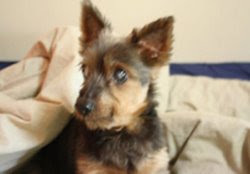 Which means they have certain health conditions and getting insurances and saving plans maybe a problem. Last week was a busy week fighting a case for a client who had a history of intestinal disorder. Hopefully , he will be able to get coverage. Next week going to be another busy week for me. I want to do well and strong in family planning. I enjoy planning for young people and also people who are planning to start a family or they had a family already. When i see them with their kids , i can imagine myself having one hahaha. I love kids and hope i can have a daughter and son. And now im starting to do up financial planning for some of my readers and family. Time flies, some of them read my blog since their JC/Uni days and now they are having a family and asked me to do up financial planning for them. As i grew older , my readers also grew old with me. Even though we have not met , but they have emailed me to ask about financial planning. I felt really touched because even though we have not met before , they trusted me and my sincerity. Usually meet ups with my reader-turned-clients can take up to 2 hours because there are so much to catch up and know about each other. One of them read my blog when she was studying in JC and now she is married with a baby. Some of my friends asked if i ever thought of names for my babies infuture ? For girls , i prefer names like .. Bold ones are my favourites. 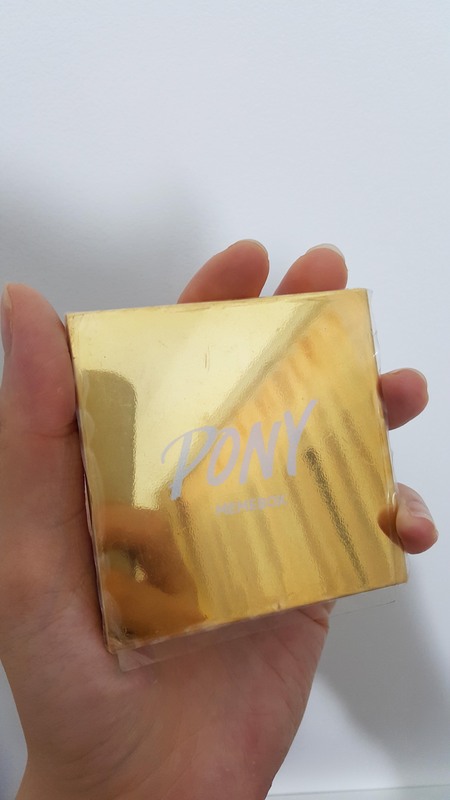 Oh btw i just started using PONY’s make up. If you do not know , Pony is a famous Korean youtuber make up artist. She came up with her own make up line. I love this palette so much ! The colours are soooooo nice and subtle. 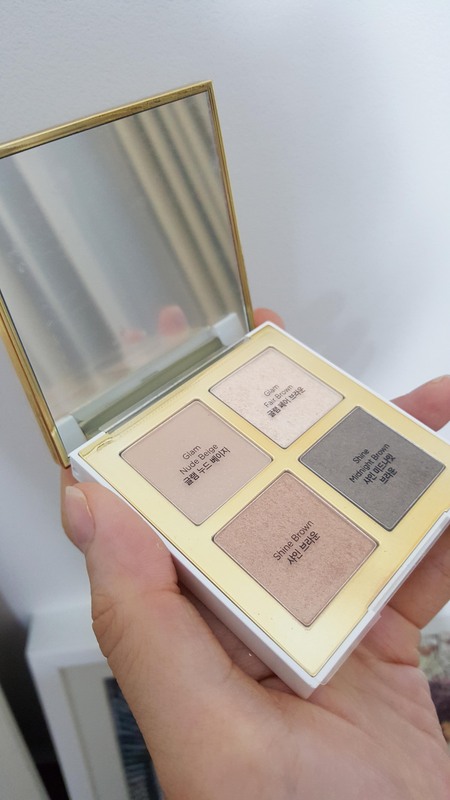 It helps to brighten up the eyes without making it look too much or too over ! So , im going for my cheongsam fitting tomorrow and my hanbok and wedding dresses fitting in Korea in April. Oppa is now in Korea settling with the hotel and studios. 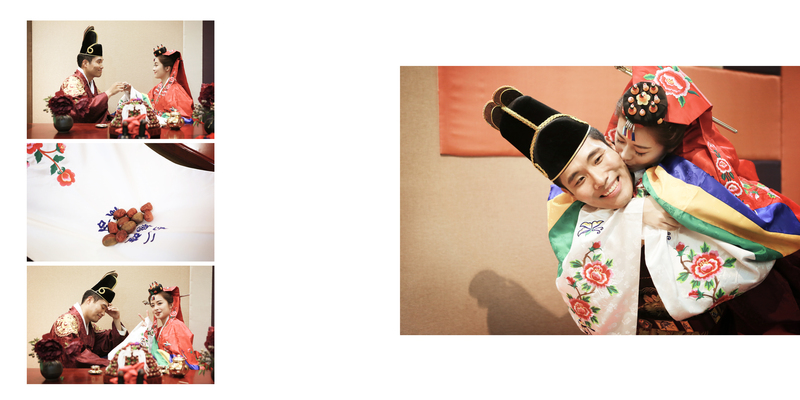 He took these pictures of hanboks and sent to my kakaotalk. Love the one in yellow and purple. I was thinking of having the yellow top/purple bottom or white top/purple bottom. Have to go in April to take my measurements to custom made one. 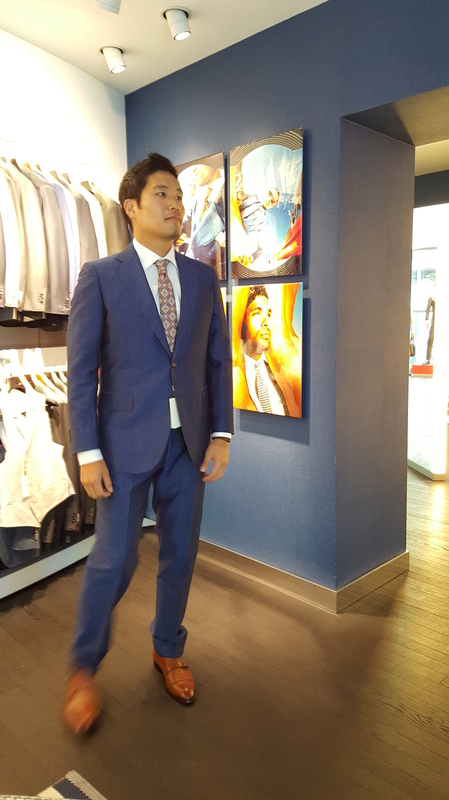 Whereas my dear Mr Shin got his suit from Suit Supply at Ion. I LOVE THE SUITS THERE. Actually i love all the clothes there. I just got to know about this brand when i went to Europe to join him for 1 month to accompany him during his business trip. Hehe he is going again this year and infact everywhere. The pants were abit loose and long even though for his 1.86m height. Some alterations needs to be done. Suit supply has their inhouse tailor so the uncle came to measure , did some pin ups and we paid in full so he will be going for next fitting this weekend ! I love Suit Supply styles. Very European Trendy. 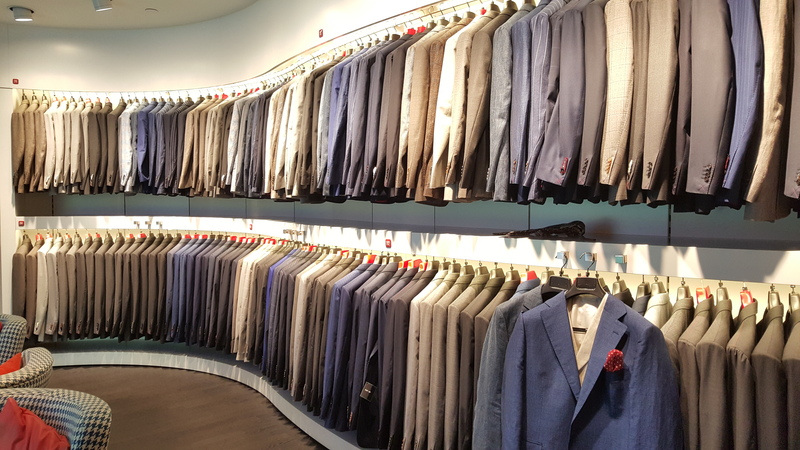 So if you are looking for suits , shirts , pants or men clothings , be sure to come here ! Im going for my Cheongsam fitting this week ! Can’t wait. If it is good , will recommend to you all ! I also can’t wait to try it on ! 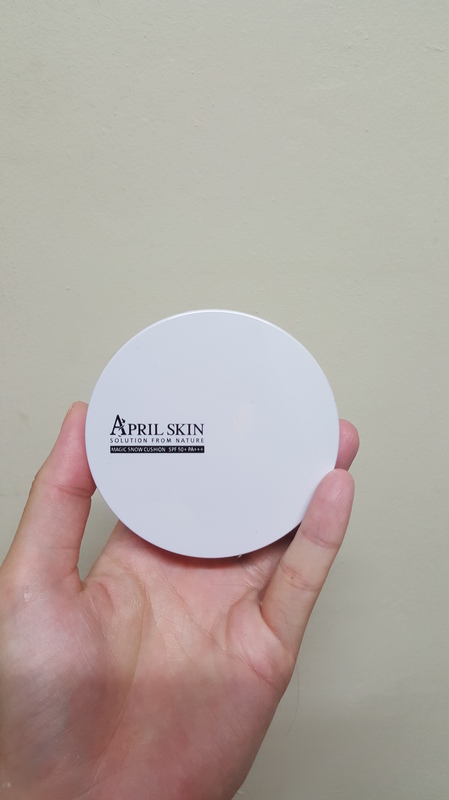 Nowadays my friends talked about this APRIL SKIN cushion. They asked me how was it . I bought one but after using once ( 2 months ago ) , i stopped using it and it is now rotting on my make up table. I am quite disappointed with it. It is not as “hydrating” and also quite matte. When i first received it , it has this strange “white crescent shape” along one of the sides. 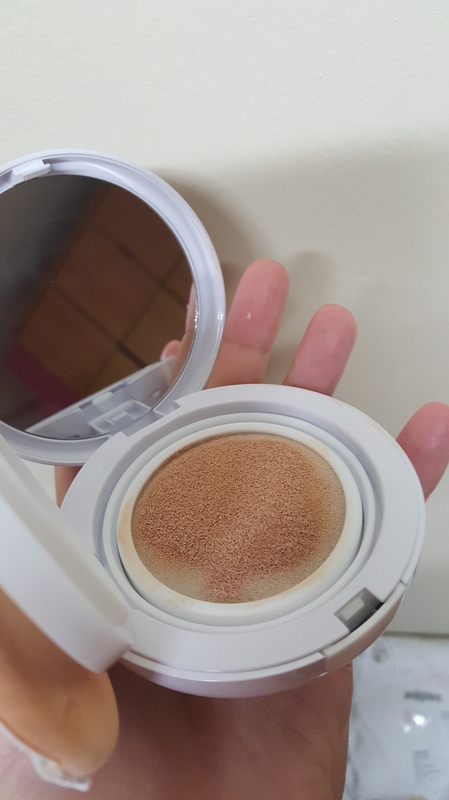 The whole sponge doesn’t seem to be filled or soaked with the BB cream. Coverage is average and makes my skin looks greyish white. I am quite disappointed with this actually. I rather stick with my all time favourite HERA UV Mist Cushion. Speaking of which , i need to start topping up. Using the last refill now ! So is it worth the hype for April Skin ? In my opinion , No. Now that i am going for my pre wedding shoot in April , im preparing my skin and taking extra care like avoiding the sun because the weather is soooo hot these days. As usual , i go for my fortnightly facial treatment at Aeon Aesthetics and Medical Centre. Lasers and facial help to improve your skin condition but you also need to take care of it well when you are home or out. Try to avoid the sun. I love looking forward to my hydra facial treatments at Aeon because i always come out of the clinic with clear , bright and radiant skin. You should really try and im sure you will like it. It gives you a good start so that it will be easier for you to do self skincare maintanence at home. It makes applying make up so much easier. 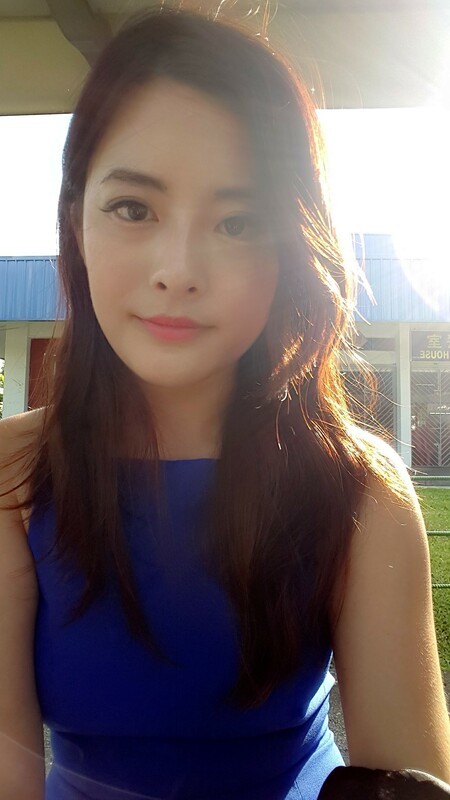 Sometimes i do not even need to apply any BB cream or just a thin layer will do. The pores look minimized and clean , the skin looks bright and radiant. It feels good looking into the mirror. You can make an appointment at Aeon Aesthetics and Medical Centre (6733 2002) and their Korean aestheticians and Korean Doctor ( Dr Kim ) will assist you in your skin analysis. You can mention my name to receive discounts or special rates because im a regular there. Now that i am turing 30 this year. There are so much thoughts in my mind. So many things i want to do and may want to take a break from. Maybe not now but later. I am quite busy these days with work and meeting new people. What’s life turing 30 and also becoming somebody’s wife soon in October ? Besides having more responsibility , i also start to prefer a little bit more privacy. Which is the reason why i seldom blog about my love life here and also i set my instagram to private mode. My love life is great ! Like any other newly weds or couples , we are striving hard to work for our future and to build our future together. Thinking of starting a family etc. As for Agneselle , there are people managing it for me but im thinking of a restructuring and we may clear some new stocks to start new restructuring. So look out for SALE prices for unlaunched designs. To be honest , im glad i started AE when i was young which was about 10 years ago. This is something i know i can’t and will not start if im in the 30s. Because at 30 and going to be a newly wed, there are alot of responsibility. Whether is it financially or just life on its own. Which is one of the reason why i am not really active on social media like instagram. I set up a snap chat account but left it dormant. I can’t even remember my Dayre password. I only update my instagram when i encounter or had something nice instead of using it for marketing purposes which i do for Agneselle last time. Being with my fiance for 2.5 years thought me many things and life lessons. Money is not everything. Health , passion and sincerity is. I used to take pictures of food and selfies everywhere i go. Such that i realized i didnt appreciate the “real thing” at all and i just go for a nice picture. No more climbing on chairs to take a good shot of the “instagram worthy” food and waiting for it to turn cold , no more standing behind a “beautiful” backdrop just to take an #OOTD shoot to wait for people to like your photos and comment positive things of things you don’t really wear , no more taking sooo many pictures of places i go or visited just to show the world where am i , no more carrying clothes on a big bag pack just to take pictures of the #OOTD shots when i go for holiday travels. It is now about appreciating what i have now. Appreciate and enjoy the taste of the food when it was served on the table , taking an #OOTD shot because i feel confident , taking picture sof places i go and visited for memory purposes , holding my fiance’s hand when we travel , have a small talk and picnic or drinks when we go for holiday travels. I cleared and unfollowed some people i used to follow on instagram because i want to see “real things”. Still clearing out some when i have the time. Stay to live real and learn to appreciate. I just went to have my eyelash extensions done. Quite a number of people asked how i go about removing my eye make up and yet taking good care of the lash extensions ? Removing make up when you have lash extensions can be quite challenging but i managed to find a quick and cheap way. 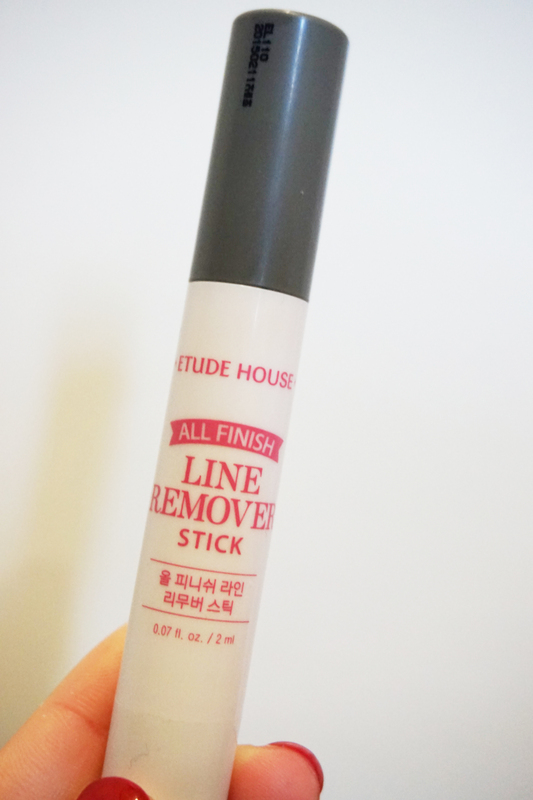 I bought this Etude House eye make up pencil remover. 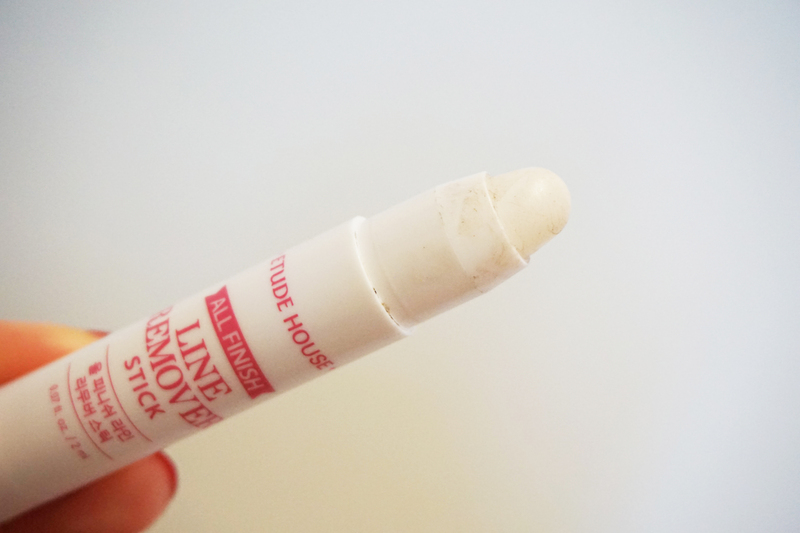 It doesn”t really remove make up totally but kind of helps to remove make up smudges. But i used it to remove my eye make up (1st step) before i use oil-to-foam cleanser (2nd step) to remove the remaining. This pencil helps to “dissolve” your eyemake up thus making it easier for your 2nd step make up remover to remove it totally. In this way , there is no need to soak your q-tip cotton buds into make up remover solutions and slowly trying to “rub” it off. My method works pretty find for me and it also helps to “dissolve” waterproof make up and making eye make up remover easier. It is not expensive and about 7,800 KRW at Etude house. Im not sure if the stores in Singapore are selling it or not but you should give it a try. This month is a busy but fulfilling month for me. Down with food poisoning last 1 week and i couldnt eat or sleep well. Next few months going to be bit busy and i can’t wait for the Xmas holidays because i can finally sit down and do a proper research for our wedding plans which will happen next year Sept / Oct in Busan. And im already looking for coats for next year. This year, i didn’t bring thick enough and ended up having food poisoning and a bad cold. Feeling damn paiseh..because first time meeting his mum but i ended up in hospital and she has to take care of me. 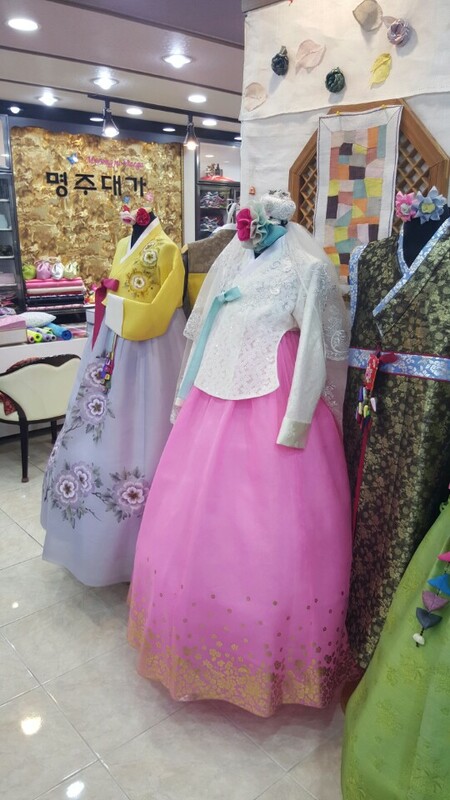 Anyways , should i go for a hanbok wedding dress or a traditional hanbok ? I prefer it to be pastel colour though. Hehe. Saw a couple of coats for spring on a korean site and tempted to get them though. They are having Xmas SALES ! Thinking should i ship them to SG or to our place in Busan. The cutting is so nice. Only KRW 40,000. I bought coats from this shop previously and they keep me so warm during late winter and spring. Very light weight too. Like this purple colour. Quite unique and since im always in black. It should brighten my outfit. Also i like furry coats. Very nice and soft to touch ! If only SG has 4 seasons. I love dressing up during spring/autumn where the weather is not too cold and not too hot. Just nice for my lace boots , coats and stockings etc. I haven’t been getting in touch with the latest Korean dramas or variety shows due to work for the past 1 month. But im still having my weekly Korean classes and surprisingly my Korean speaking improves quite alot and i am able to have fluent conversations with his mother on the phone and even understanding abit of the Busan dialect. Im hooked to the Reply drama series. 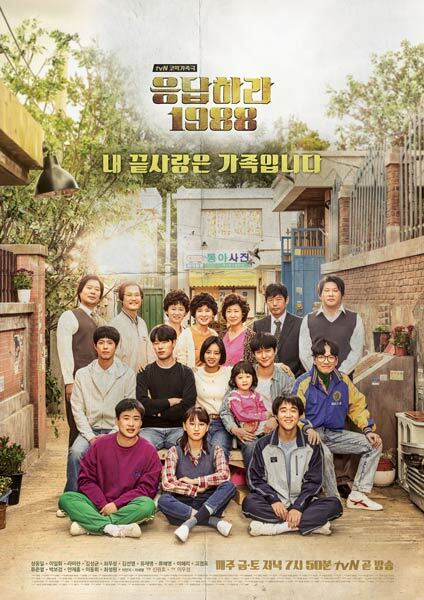 I have watched Reply 1994 , Repy 1997 and now Korea is airing the Reply 1988. I started watching the first drama series in 2013. Damn funny and interesting drama. You can hear many forms of Korean dialects – Standard Seoul Dialect , Busan Dialect , Jeolla-d- Dialect, Chungcheong-do Dialect or Gangwon-do Dialect. Also , you can get to learn alot about traditional Korean cultures. 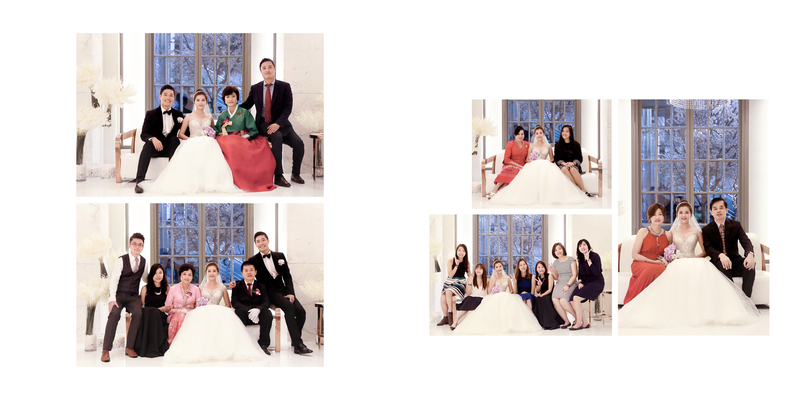 It helps me to understand the era that oppa’s mother and him grew up. You will also get to learn their family house rules / habits , manners etc. I also learnt my Busan dialect from these 3 series. Though i can understand , i can’t really speak the dialect. If you have watched the Taiwanese drama Our Times , it is something similar but this is drama form. Reply 1997 featured Eunji from Apink and some other rapper idols. Very hilarious drama. Even more hilarious if you understand Korean or even the dialects. This time Reply 1988 featured Hyeri from Girls Day. The actor on the left very shuai hor ? 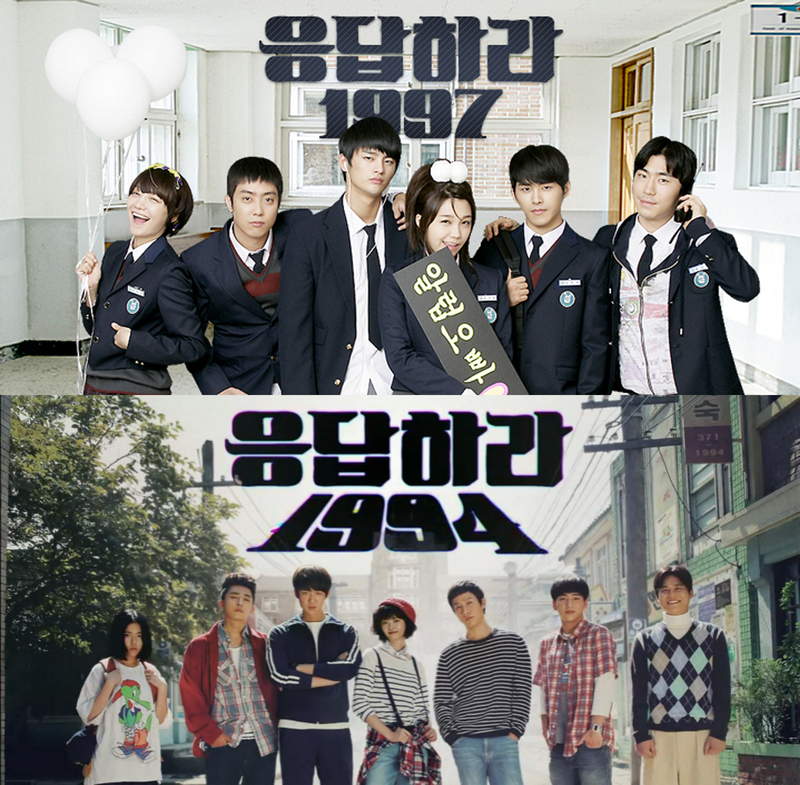 Go watch Reply 1988 and the other series also. You will get hooked. If you have a Korean bf/gf/spouse , watch it with them. It will be good for bonding and also to learn more about his culture , family habits etc. I think i had too much Korean bbq or the pork was not well cooked. I was down with food poisoning for a few days and the feeling was really terrible. Last week , we went to Robert Oppa’s house for Korean bbq. 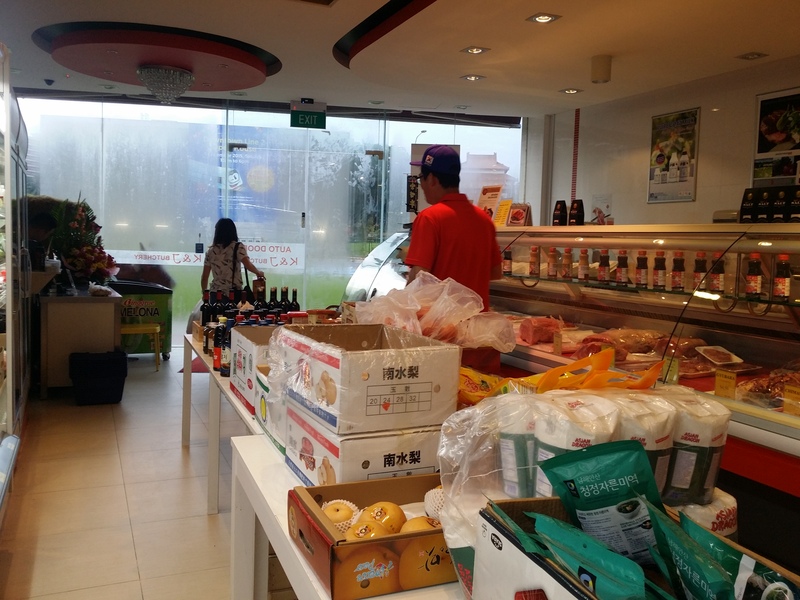 Went with SY oppa and RJ oppa to K&J Butchery at Bukit Timah to buy pork belly and pork collar. 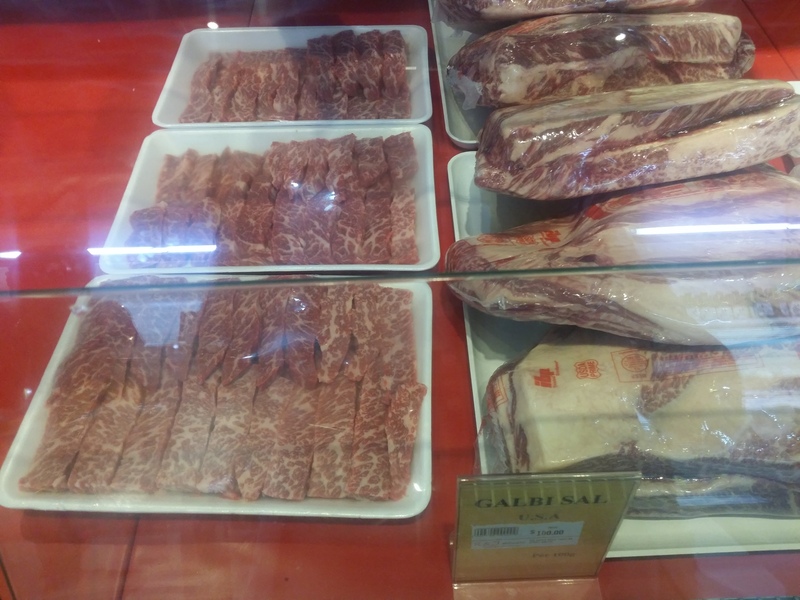 This butchery carries alot of Korean food , meats , sauces , sojus etc. A typical Korean mart for you to buy Korean ingredients for cooking. The vegs and all are also from Korea. 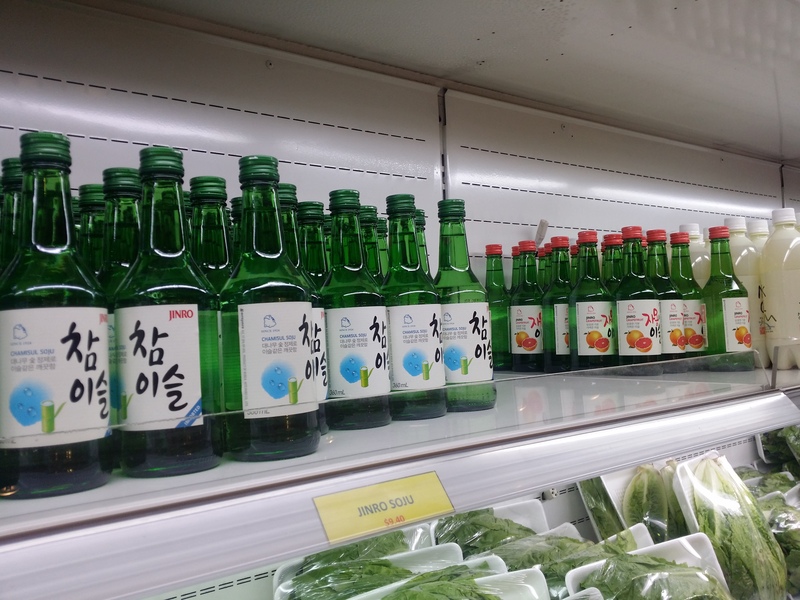 Yup yup, you can find Peach soju here ! 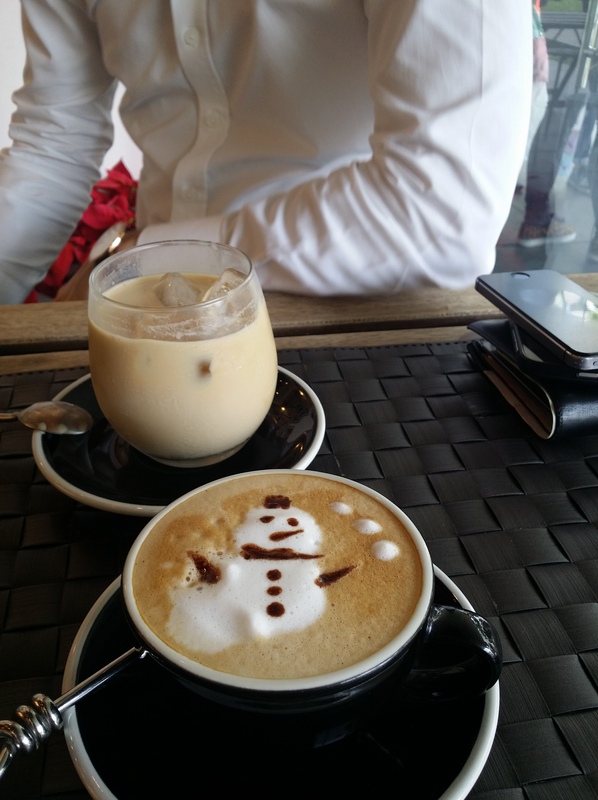 It is Christmas soon. And lately i have been working outside at starbucks sipping my cup of $4.60 Earl Grey tea with some new found friends using the app Lunch Kaki. Here’s a picture taken while having coffee with my lunch kaki. Lunch Kaki was an app started by a dear friend of mine. He quit his job as a stock broker to start out a networking app on his own. Alot of hardwork and planning were put into this app and though in just less than 1 year , the app has alot of users and i see more new people joining this app. Even my Korean teacher also joined this app. As a humble man , he will meet his users to ask for feedbacks to improve the app. This app helps to improve my social circle and i met people from all walks of life. For people like me who moved around , having meals alone can be quite sian at times. Lol i will always joke with my lunch kaki that i need someone to look after my belongings while i go get my food which is the reason why i used. Haha just joking lah. Need to break the ice what if not the meal will be very quiet and awkward. My lunch kakis and i had meals ,talked about what we do , our trades and for some we eventually became friends and met often for meals. Recently, i met with someone who worked in the petrochemical industry and he taught me alot about dealing with people and differentiating personalities. Not only did i met someone and made a friend but we learnt from each other. Support local app , join Lunch kaki and make a new friend ! ** Psst..i just had new eyelash extensions done and also a tummy fat “destroying” session at Aeon Aesthetics and Medical Center. Sounds scary but actually it is not. Blogging soon tomorrow on these 2 ! !